Mevlana Celaleddin Rumi, who lived in the 13th century in Sultanate of Rum (Seljuk Turks) era, left a rich cultural legacy behind. His works and wise words as a philosopher, poet, and an opinion leader still attracts people all around the world. Mevlevi dervishes, the followers of Mevlana’s teachings, still keep his memories alive today via Philosophy of Mysticism, combined with whirling dervish ritual, of which Mevlana founded the bases. 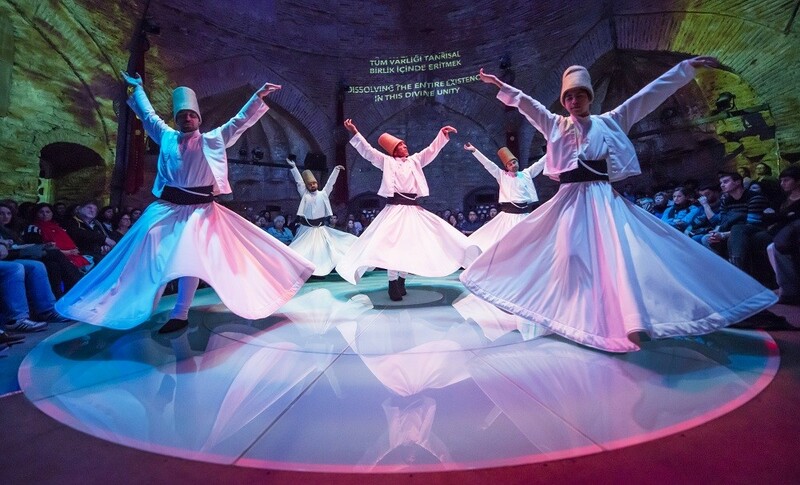 Whirling dervishes ritual is a performance by dervishes as they focus on the love of god and whirl around themselves. The most spectacular show to witness this magical ritual is performed at Sebi-i Arus (Wedding Day) Ceremonies in Konya every year. However, even if you can’t go to Konya, you can still watch this great whirling dervishes performances in Istanbul. 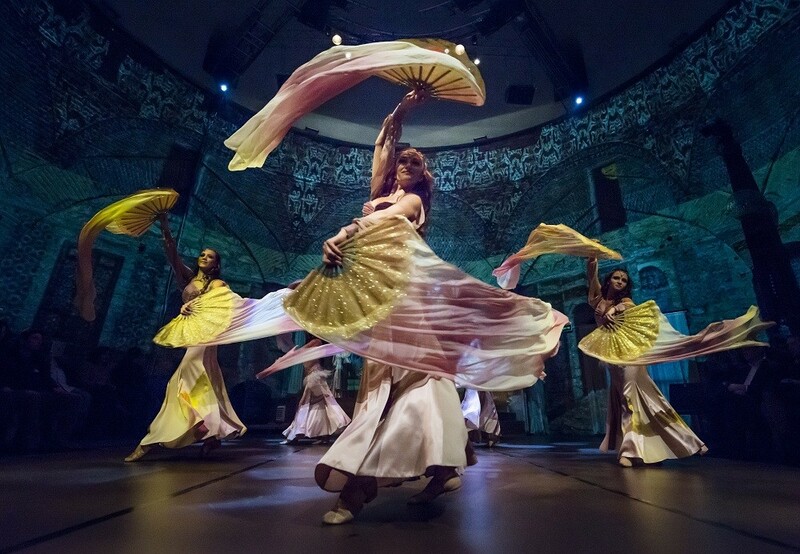 There are two places when it comes to whirling dervishes performance. One of these is Galata Mevlevi House in Beyoglu (commonly known as Taksim) and the other one is Hocapasha Cultural Center in Sirkeci (nearby Sultanahmet). Please note that it’s a spititual dance show. The derwishes will be spinning for a long time accompanied by a slow music. Some people might find it boring. If you think you do not like this kind of experience, you are advised to try Rhythm of the Dance Show which is performed in the same place. Where is Hodjapasha Cultural Center? 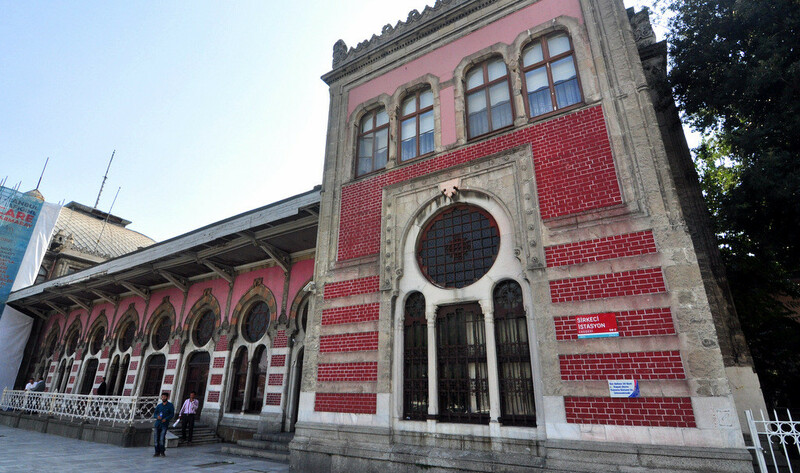 Hodjapasha Cultural Center is in Sirkeci, the heart of the Old City. Even though Sirkeci neighborhood is composed of the square where Sirkeci Tram Station is located and a few streets nearby, it stands out as a center for various activities in Istanbul. Sirkeci boasts a very central location and its right in the heart of Eminonu, which is the hub of transportation and shopping in Istanbul Old City. Sirkeci offers a great alternative to spend time and dine after visiting the historical monuments in Sultanahmet area both for local and foreign visitors. The best local restaurants in Istanbul are located in Sirkeci. Also, the best dessert shops of Istanbul are in Sirkeci square too. 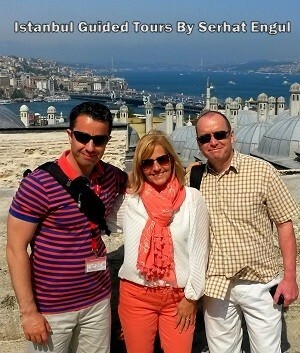 Therefore, Sirkeci is a great place to try local dishes and desserts in Istanbul. Hodjapasha Cultural Center stands where an old hamam (Turkish Bath) used to be and it’s located right in the center of this gastronomical and cultural heritage. 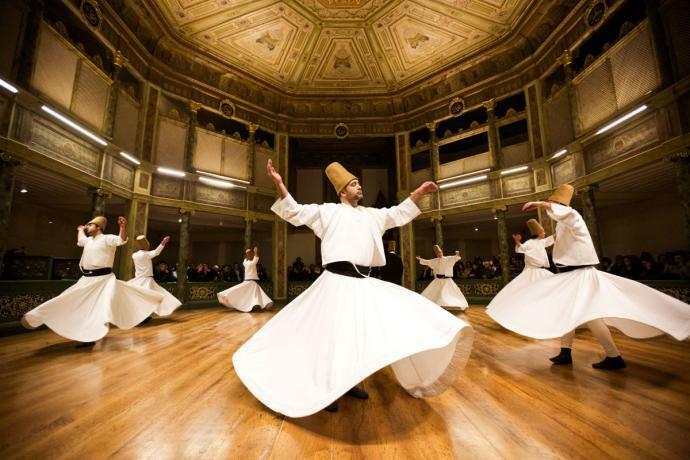 Therefore, you can consider watching a whirling dervish ceremony as a comprehensive cultural activity. The duration of a whirling dervish show takes above 60 minutes alone. Whirling dervishes performance is performed at 19:00 every day. As the gate of the place opens at 18:15, you can spend some time in the lounge until the performance starts. However, you need to be in the hall 30 minutes before the performance starts. The Hodjapasha Derwish Show ticket price is 110 Turkish Lira. Please note that children under the age of 6 are not allowed in the performance hall. 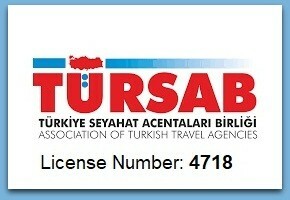 The Rhythm of the Dance Show ticket price is 140 Turkish Lira. Hodjapasha is located on a historical street. Therefore, you are highly recommended to eat at one of the restaurants here. These restaurants offer the finest examples of local food culture in Istanbul, such as doner, cag kebab (marinated rotating lamb kebab), meatballs or beans. Filibe Koftecisi (Turkish meetballs), Sehzade Cag Kebap (Lamb Kebab) and Kasap Osman (Doner Kebab) are the best restaurants in Hocapasa Restaurants Alley. World famous food blogger Mark Wiens has highly recommended Sehzade Cag Kebab in his Vlogs. 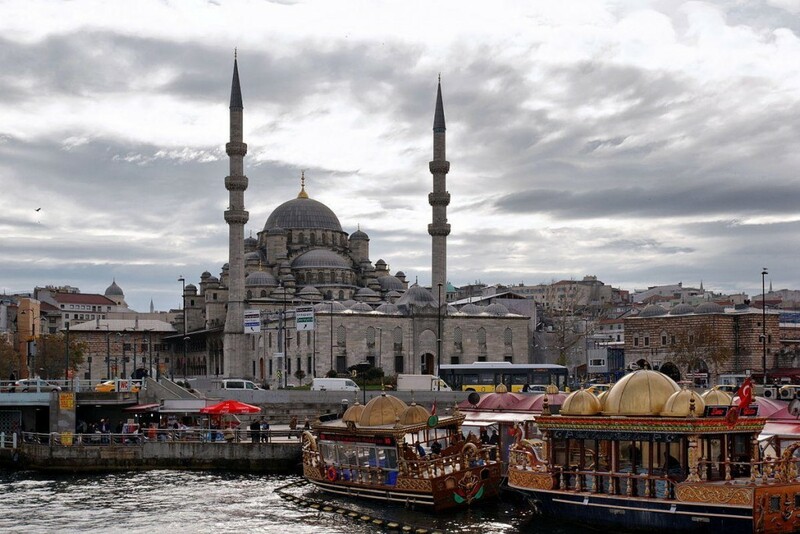 You can come across the best examples of the 1st National Architecture Movement that emerged in the 1800s, the last century of the Ottoman Empire. 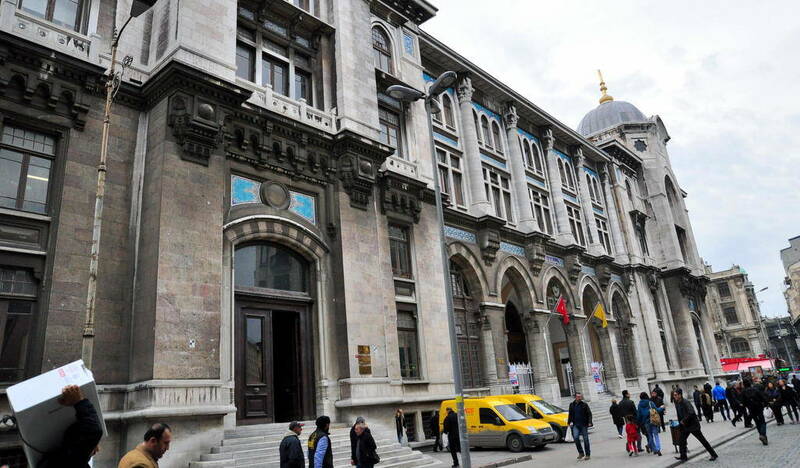 For instance, Grand Post Office and the building which serves as Legacy Ottoman Hotel today are two fine examples of this movement. Sirkeci Railway Station used to be the last station of Orient Express that served between Paris and Istanbul in the 19th century and it’s a historical monument that will definitely create a nostalgic atmosphere for its visitors. This famous train, which used to be the most luxurious mode of transportation of its time, transported many famous figures like Agatha Christie. These famous people who set their feet on Istanbul stayed at hotels such as Pera Palace in Beyoglu and visited Istiklal Avenue, known formerly as Grand Rue de Pera. Before or after you watch a whirling dervishes performance, you can also visit Spice Bazaar and New Mosque via Buyuk Postane Street that enables a direct passage. You can take this street and walk to Eminonu direction, which will take you to one of the main gates of Spice Bazaar. Therefore, you will have a chance to visit this 350 years old historical bazaar and visit New Mosque or Rustem Pasha Mosque, which is famous for famous Iznik tiles.